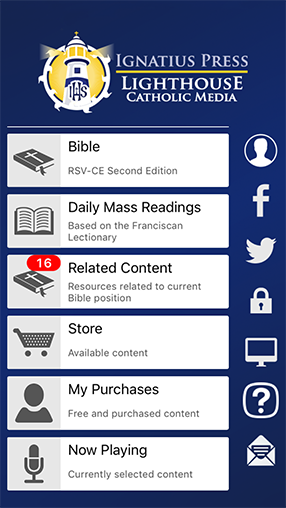 The entire Catholic Bible (RSV-2CE) available for FREE — now packed with additional content from Lighthouse, Ignatius Press, and other Catholic Apostolates that unlock the beauty and richness of Scripture. 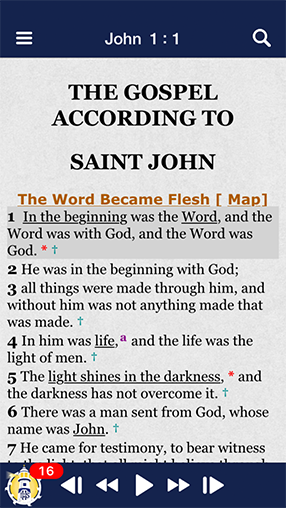 Annotated Gospel of John — FREE selections from the Ignatius Press Study Bible. 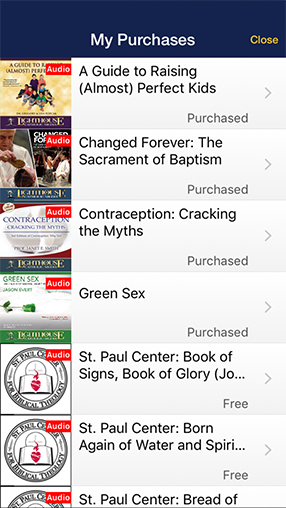 Over 10 hours of FREE audio commentary from Dr. Scott Hahn and St. Paul Center for Biblical Theology. Dramatized audio version of the Gospel of John — FREE selections from the Truth & Life Dramatized Audio New Testament. Full Lighthouse talk by Dr. Scott Hahn — The Lamb's Supper. 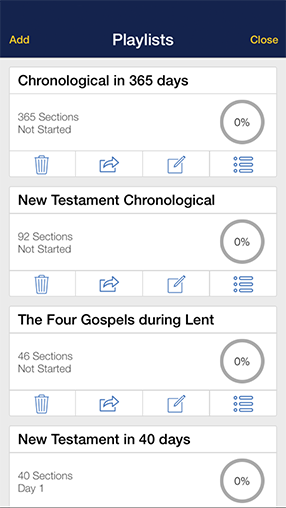 Ignatius Study Bible — available at a discount on the App! 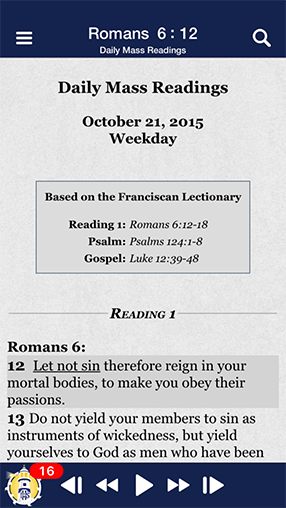 Truth & Life Dramatized Audio New Testament — endorsed by a Vatican Imprimatur! Over 140 inspiring Lighthouse talks — download right to your device at a 20% discount!